Do you have or could you do a petrol conversion calculator that could tell me what the Miles per Gallon mileage is on new car listings, when it only says the Litres per 100 kilometers, or the other way around? 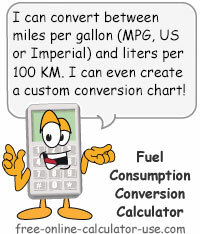 This fuel economy conversion calculator will convert liters per 100 kilometers to miles per gallon (US and Imperial) as well as convert miles per gallon to liters per 100 kilometers. Plus, unlike other online gas mileage conversion calculators, this converter will also include the step-by-step solving of the conversion formula in the generated results. 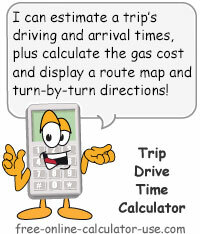 And finally, the calculator also allows you to create a custom fuel consumption conversion chart that you can print out and take with you when you go car shopping. Most popular fuel conversion formulas. Step-by-step examples showing how to make the conversions manually. Convert between miles per gallon and liters per 100 kilometers, or create a custom fuel conversion chart. Select the desired conversion option. The calculator will then rename the fields according to your selection. 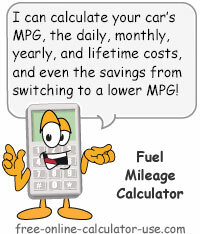 Note that MPG stands for Miles Per Gallon, and KM stands for Kilometers. Enter the fuel consumption units to convert from the type listed on in this line. Select the number of places you would like the "to" units rounded to (affects chart rounding as well). If "None" is selected, no rounding will be performed and raw values will be displayed both in the result field and in the chart. Note that you can alter the rounding of the result before or after the conversion. This is the fuel consumption units converted into the type listed on this line. Note that you can alter the rounding of the result before or after the conversion. To create a custom fuel consumption conversion chart that you can print out, enter the starting and ending units based on the first type listed in the selected conversion type. Then click the Create Conversion Chart button. This will open a printer friendly window containing your custom fuel consumption conversion table. Enter the units you want the chart to start at. Enter the units you want the chart to stop at. Select the value you want the from units incremented by in the conversion chart. Enter the units you are converting from. Or, if you want to create a printable conversion chart, skip to the bottom of the calculator and enter the starting and ending units, then click the "Create Conversion Chart" button. Click the "Convert Fuel Units" button. This will display the result of the conversion and generate a step-by-step explanation showing how the calculator arrived at the result. 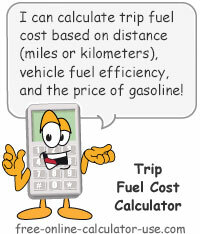 Interactive charts, common fuel conversion formulas, and how to convert MPG to L/100KM. Please see the fuel conversion factor chart further up this page for the factors needed to convert other less popular fuel consumption units. If there is a fuel consumption unit type you would like to see included in this calculator, please let me know on the feedback form located beneath the calculator.